Seymour Toze eyes widened with wonderment as he gazed at the rustic interior of the Hautdogs restaurant. The place looked as grand as the finest steak houses in NYC. Toze stared at the high domed ceiling. He grinned with delight at the modern teak wood chairs and tables. Sophisticated yet comfy he thought. The full high end liquor cabinet he noticed was the same kind of wood as the chairs. He reflected how the sameness gave the place a sense of stylish unity. “Only purist of intentions for you my dear. Out of all the fine dining one can pick I’m convinced it was the right choice The décor the epitomy of sophistication. The cuisine is superb Why should we eat elsewhere?” Toze asked rhetorically. This place received rave reviews.No wonder its so crowded” as she quickly perused the many occupied tables and vermillion leather and polished wood booths. “If someone doesn’t come over I’ll be raving mad Lady Lynda snapped in a ladylike manner. The service here is as slow as dial up internet. Its the world wide wait staff wait” she fumed. “Remember patience is a virtue. The chef and cooks want the hautdogs, wieners and brats to be completely delectable.. This place is to hotdogs as is steak sandwich is to steak.” Seymour. “I’m truly looking forward to getting into my mouth six inches of juicy succulent,firm hautdog.” mentioned Lady Lynda licking her lips with joyful anticipation. “I just wish I could get some waitress attention.” sighed Seymour Toze. “Why did you insist on waitress? The waiters are as competent.”? queried Lady Lynda a bit miffed. 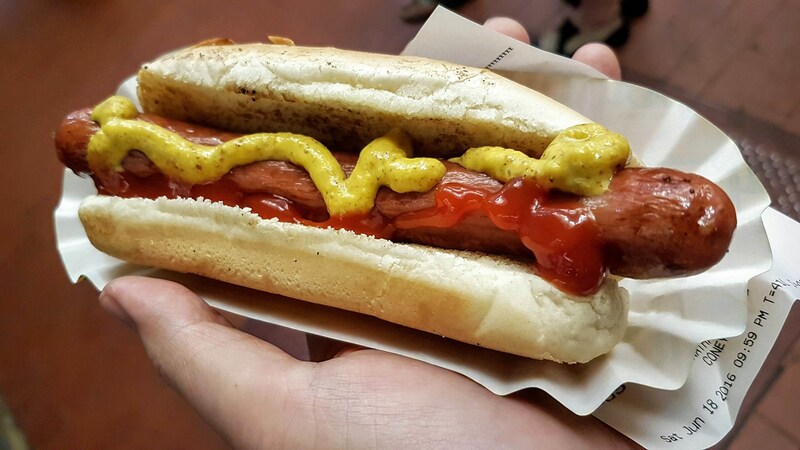 Seymour Toze chose the Deluxe Ethan’s Famous with authentic baseball park mustard, classic pickle relish. His wife chose the vegan Chorizo Weiner on the whole wheat roll. They both thought it was so delightful there were vegan hautdogs on the menu for those inclined. Soon their orders came. The couple thought the entrees looked scrumptious. They quickly said grace and dug in. “Oh Seymour I am thoroughly enjoying eating my haut dog” Lady Lynda mumbled between tasty morsels of sheer enjoyment. Seymour Toze wholeheartedly thought the same as he bit into each succulent bite. They were so pleased with their meal they eagerly wanted to go back as soon as possible.